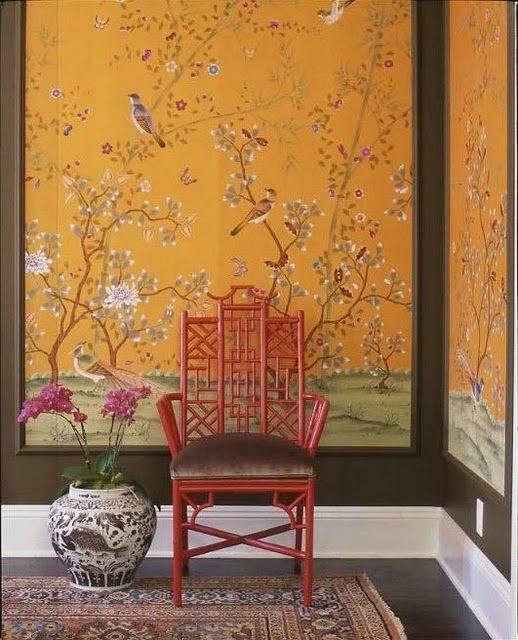 After a week of outdoor activity, we're back to focusing on interior inspiration - in the form of Chinoiserie accents. 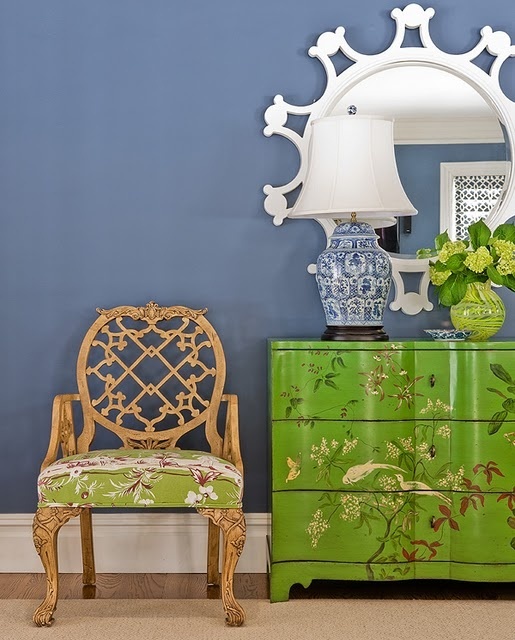 Chinoiserie, in case you didn't know, is French for Chinese-esque and is all the rage when combined with different styles of design. 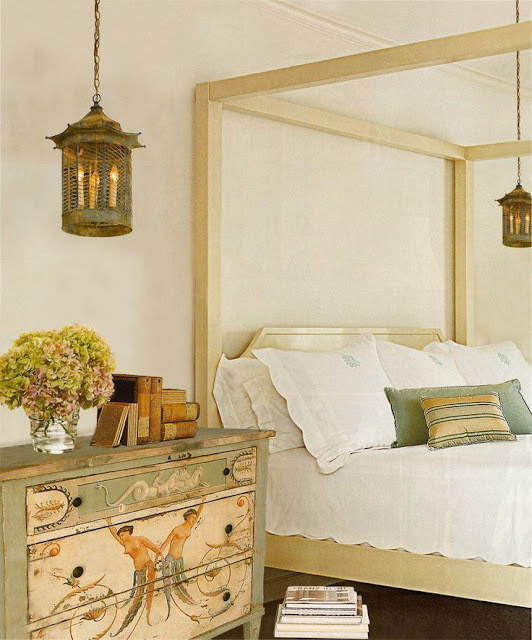 Of course, I love it paired with more traditional items to create a layered, eclectic look. 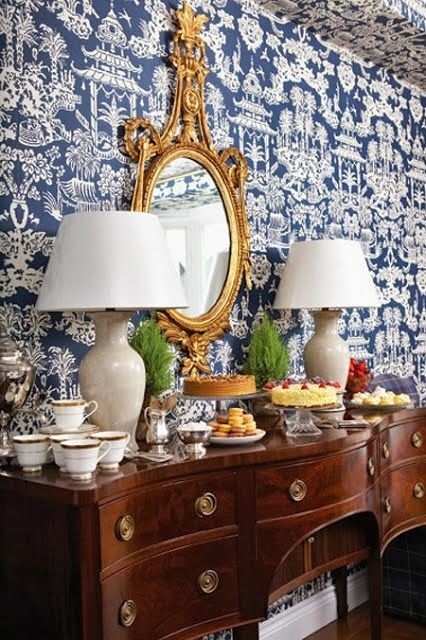 A painted console has been on my wish list for years. 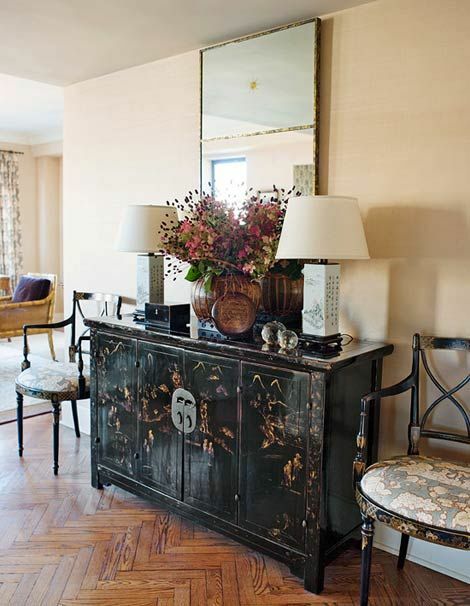 Back in the day it had to be Chinese red, more recently black - although green might be a new favorite.